In the past, graffiti was considered a misdemeanour. However, this is no longer the case: nowadays, in the main cities, graffiti has morphed into a form of art. Indeed, graffiti art helps to brighten up the dull granite walls and also brings a sparkling new life to the streets. It also teaches us to pay attention when we walk along the streets and have generated new thoughts about the urban space. Things are no different in the city of Rio de Janeiro. To give you an idea of just how popular urban art (or street art, as it is called in English) has become in the Marvellous City, all you need to do is enter #StreetArtRio on your mobile or computer apps such as Instagram. This hashtag is part of a large project which seeks to keep a record of all graffiti artists in the city of Rio de Janeiro, and also to mark all the locations for graffiti art on the city map. Through this initiative, in a collaborative effort, some 10,000 works of street art have already been identified. New art pieces are discovered and recorded every day, through social networks. In most cases, these pieces are by famous artists such as Marcelo Ment, Marcelo Eco, Toz and Rafo Castro. 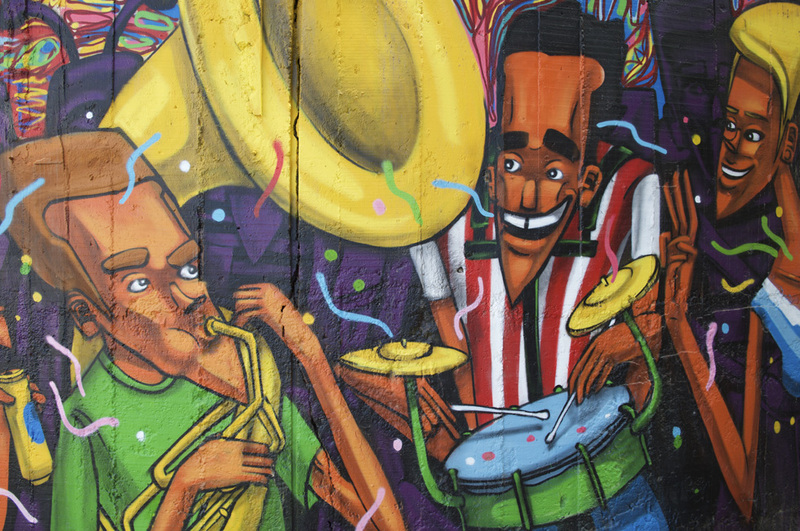 Street art is scattered throughout the Greater Rio Metropolitan Area. If you are interested in this form of art, you may search for a particular artist, or find out if there is any graffiti near where you are, you just need to visit the site http://streetartrio.com.br/. We have selected some popular destinations for those people who love street art in Rio de Janeiro and provided the details in the following paragraphs. If you wish to check out graffiti by street artists from all over the world, the neighbourhood of Vidigal is the right place to go. Along the trail to the Two Brothers Mountain and also the Atalho (the short cut), the walls are full of graffiti art. The paintings are changed from time to time and have already presented works by famous artists, including Mateu Velasco, Márcio SWK, Joana César and Thiago Tarm .Also, the trip to Vidigal is also rewarding for one could enjoy one of the most spectacular views of the city of Rio de Janeiro. It is also possible to find street art right in the heart of the Bohemian enclave of Rio de Janeiro, in the neighbourhood of Lapa. The old houses in the district are perfect canvases for the painting of street art. One of the most iconic works here is the “Free Your Dreams” work which stands on Riachuelo Street and was painted by artist Gabriela Valente Feliz. Here, urban intervention is even more complete, as the spectator also becomes an artist and helps the work project by writing his or her dream on the wall. Recently, the Orla Conde complex, in the port region of the city of Rio de Janeiro, has been given the largest graffiti project in the world, with a total area of 3,000 square metres of pure art within the “Etnias” project by artist Eduardo Kobra. This work of street art is an ode to cultural diversity and brings a reference to five different tribes hailing from the five continents of the planet. It is worth checking out.